The paper presents a socio-psychological analysis of the formation of adaptive strategies for a person’s coping behaviour during post-crisis periods. The author proposes a multilevel socio-psychological programme for the formation of adaptive coping behaviour of a person in post-crisis periods of life. It is aimed at activating adaptive coping resources, developing social problem-oriented and perspective-oriented coping strategies, in particular reflexive-modelling ones. The effectiveness of the programme is stated by the growth of control over coping, which is shown by the increase in the level of sociopsychological adaptability; reduction in the number of maladaptive coping strategies; optimisation of the number of selected adaptive behaviour strategies and emergence of new constructive types of coping strategies; positive dynamics of the level of development of vitality, orientation to self-development and self-improvement; positive changes in the structure of social support and social status. 1. Bodrov V. A. Psikhologicheskiy stress: razvitie i preodolenie. M.: PER SE, 2006. 526 s.
2. Brayt D., Dzhons F. Stress. Teorii, issledovaniya, mify. SPb. : Praym-evroznak, 2003. 352 s.
3. Volkova N. V. Coping strategies kak uslovie formirovaniya identichnosti // Mir psikhologii. 2004. № 2. S. 119–124. 4. Goncharov M. S. Perezhivanie kak realizatsiya (ili proyavlenie) sub’yektivnosti i stress kak neizbezhnost’ stanovleniya i funktsionirovaniya cheloveka // Mir psikhologii. 2008. 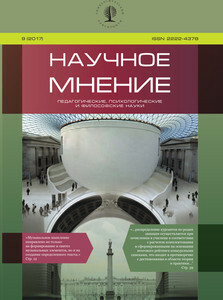 № 4. S. 3–7. 5. Kryukova T. L. Vozrastnye i krosskul’turnye razlichiya v strategiyakh sovladayushchego povedeniya // Psikhologicheskiy zhurnal. 2005. T. 26. № 2. S. 5–15. 6. Lazarus R. S. Psikhologiya emotsiy. SPb. : Piter, 2007. 328 s.
7. Libina A. B., Libin A. V. Stili reagirovaniya na stress: psikhologicheskaya zashchita ili sovladanie so slozhnymi obstoyatel’stvami? // Stil’ cheloveka: psikhologicheskiy analiz. M.: Smysl, 1998. S. 190–204. 8. 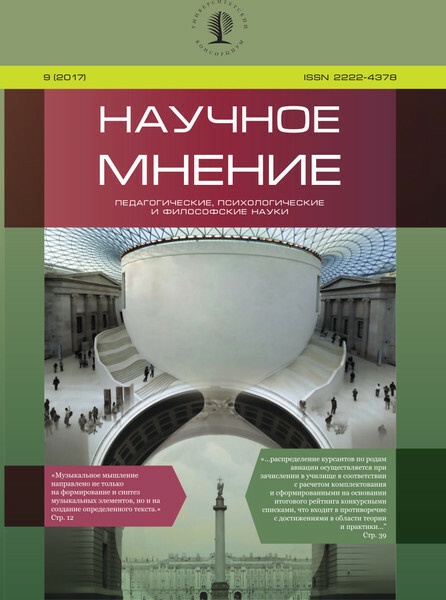 Maddi S. Smysloobrazovanie v protsessakh prinyatiya resheniya // Psikhologicheskiy zhurnal. T. 26. 2005. № 6. S. 87–101. 9. Maklakov A. G. Lichnostnyi adaptatsionnyi potentsial: ego mobilizatsiya i prognozirovanie v ekstremal’nykh usloviyakh // Psikhologicheskiy zhurnal. 2001. T. 22. № 1. S. 16–24. 10. Nartova-Bochaver S. K. «Coping behavior» v sisteme ponyatiy psikhologii lichnosti // Psikhologicheskiy zhurnal. 1997. T. 18. № 5. S. 20–30. 11. Nikol’skaya I. M., Granovskaya R. M. Psikhologicheskaya zashchita. SPb. : Rech’, 2000. 342 s.
12. Polivanova K. N. Psikhologicheskiy analiz krizisov vozrastnogo razvitiya // Voprosy psikhologii. 1994. № 1. S. 61–69.